Terraform by HashiCorp can manage your infrastructure across multiple cloud providers and on-prem. To reuse and share components across projects and to better organize large projects, you can create modules. 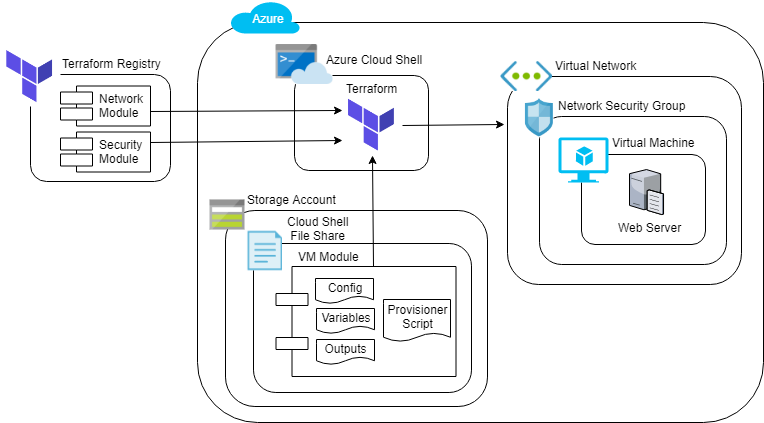 In this Lab, you will use modules shared on the public Terraform Registry as well as a module that you create to provision a web server virtual machine in Azure. The Lab will also introduce you to Azure's browser-based Cloud Shell, which you will use to complete the Lab.